I lolled back in my pool side lounge chair, opened my eyes, glanced out at the navy blue strip of ocean I could view through the railing slipping silently past as we cruised to our next gorgeous Caribbean port, and lazily mulled over whether to apply more sunscreen, move into the shade, or possibly just go visit the soft serve ice cream dispenser. Then I checked out what my girlfriends were doing. One was deeply involved in reading a novel on her Kindle, another was swimming laps in the pool, two were having an animated conversation about what to wear to dinner and one, I noted jealously, had already been to the soft serve ice cream dispenser and was happily spooning up chocolate ice cream. 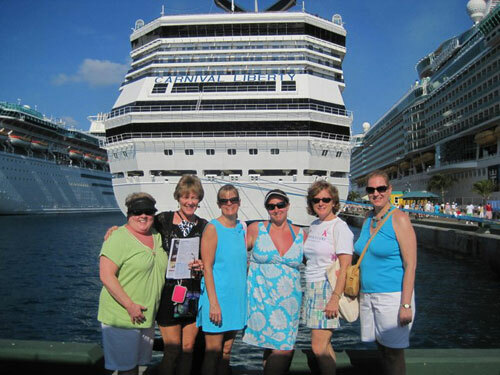 Our relaxing interlude by the pool provides a great example of why a Caribbean cruise is the perfect place for a group of friends to have a getaway. Everyone was blissfully happy and everyone was doing something completely different. In a while, we would bestir ourselves to go get ready for dinner and a show which we would enjoy together, but for now we were all able to do just what we wanted. And be very happy doing it – whatever “it” might be. Just what would that perfect something be on a girlfriends getaway cruise? Eating decadent and fabulous food vs. Eating light, healthy food. Your only quandary at mealtime on a cruise will be deciding which of the delicious and marvelously prepared meals to choose and then having to decide which of the rich and luscious desserts to order. Every person at the table can choose a different entrée and if, for some reason, it’s not the perfect choice, just send it back and choose something else. In fact, if you want to order more than one entrée, do it. This is the perfect time to try something you have always wanted but have been hesitant for some reason. 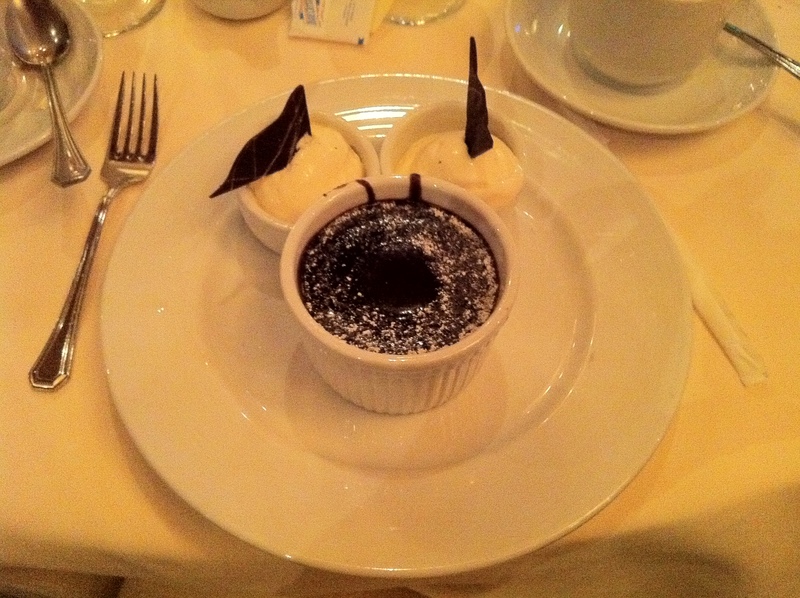 On a recent Caribbean cruise with girlfriends, we may have become just a trifle addicted to the Melting Chocolate Cake on our Carnival ship. Melting Chocolate Cake every single night? Yes, please. The flip side of eating like a hedonistic heathen at mealtime (my personal choice) is that everyone in your group will also have a choice to eat healthy at each meal. Ironically, a cruise is the perfect place to lose weight. Remember how you always say that celebrities only lose weight because they have someone cook for them, prepare fresh salads and fruit and offer a dizzying array of healthy choices? That is precisely what you can experience on a cruise. Exercising vs. Getting Pampered. (or possibly both) Those individuals in your group who are eating the healthy food mentioned above are going to want to immediately find the fitness area on the ship, where they will find exercise equipment, a variety of classes and helpful ship staff who can make suggestions about working out. Those of us who are in the hedonistic group will want to find the spa, which is usually located right near the fitness area. You can arrange pretty much any sort of pampering you desire, from head to toe; if you are feeling particularly healthy, you can even walk on a treadmill before or after that massage. And those of you who don’t want to work out or get a massage? 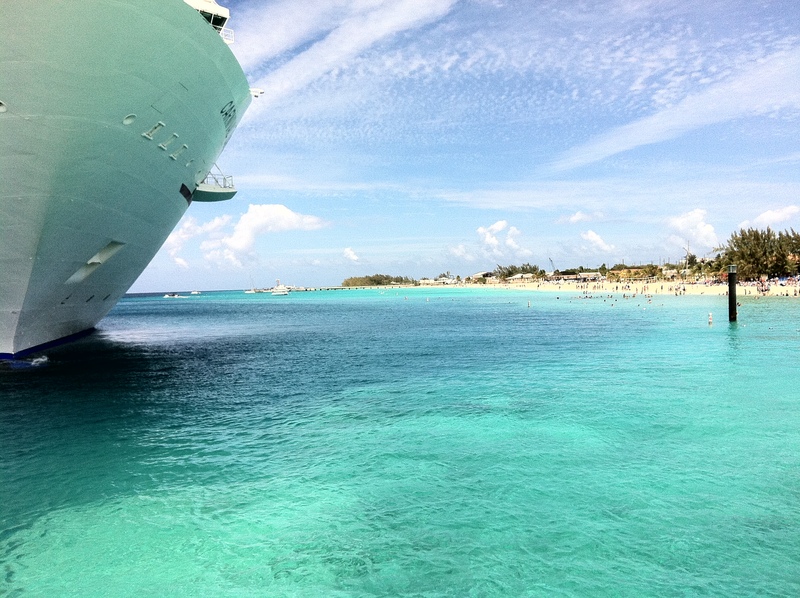 A nap is always the perfect choice on a cruise. 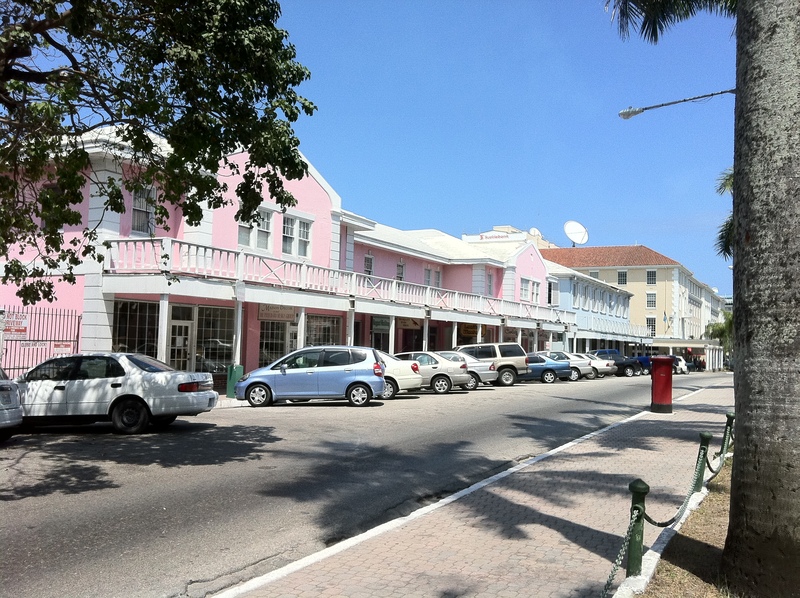 Shopping Mecca – the Caribbean! Shopping. Need I say more? 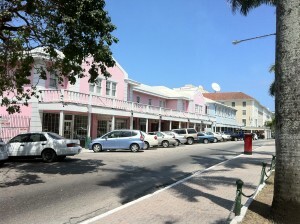 The Caribbean is the perfect place for shopping because of the duty-free items you can purchase. “Duty” is the tax or fee placed on goods by local governments, but in the Caribbean they are not charged duty so you can get some great prices. Watches, perfumes, jewelry and designer purses are all great choices. Those of us in the shopping mode on my last girlfriends getaway in St. Thomas made quite a haul, with one friend buying a Louis Vuitton purse for much less than she had priced them in the U.S. Those in the group who were not interested in shopping – yes, there were some – either stayed onboard or chose other activities. Geeks vs. Non-Geeks. I have been on several cruise lines recently and they have all quietly and efficiently stepped into the age of wifi, even though you have to keep in mind that it is not cheap to stay connected. Whenever I needed to access the Internet, I turned on my iPad, lolled on my bed in the stateroom and surfed away. I was the only one in the group with the wifi fixation, although my roommate did use her iPad to read books. Everyone else just smiled at the geek in their midst, although their smiles did slip a little when I got preferential treatment because I was blogging daily about our cruise. Hitting the Casino vs. Hitting the Bed. Most of my group spent a great deal of time in the casino. I spent a great deal of time in my room. Not a gambler, I preferred to just relax, read, work on my iPad or simply go to bed early. My roommate would slip in quietly in the wee hours and ease into bed without waking me. We spent plenty of time together but enjoyed our time apart. And we had plenty to talk about at dinner! Wild pool parties vs. Lying quietly in the sun for hours. Every ship I have been on has figured out that not everyone is thrilled with hairy chest contests, blasting music and other adults consuming mass quantities of adult beverages as they relax on the pool deck, and thus they provide a quiet, alternative pool. Everyone in our group was very happy with the focus of the day being reading a magazine in a lounge chair but, if they had wanted to party it up, that was always an option. Get in the water, don’t get it in the water. It’s all good. Watersport Partakers vs. Non-watersport Partakers. Snorkeling, diving, sailing, wave runners, surfing, paddle surfing or simply swimming in azure seas, you will find it all in the Caribbean. And yet if you want to settle on the warm sand with a towel, a book, some sunscreen and a frozen tropical drink while your girlfriends cavort, by all means do it. 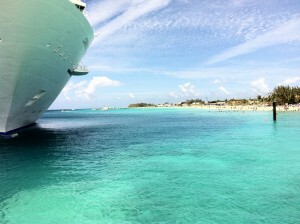 That’s the beauty of a cruise and a variety of fabulous Caribbean ports. Having your bed made, your room cleaned, your every need met with friendly courtesy vs… Seriously? Is there a vs. for this? I don’t think so. Since we women are normally the ones doing all the cooking and cleaning at home (with some exceptions, of course), it’s awfully nice to have someone else do that for us on a cruise ship, as we completely relax and expend any remaining brain cells thinking about what we are going to have for dessert tonight. After all, you can’t eat Melting Chocolate Cake every single night.